In 2013, physician assistant (PA) schools received around 18,510 unique applications, according to a CASPA Data Report. Out of all of these individuals, only a very small number—less than 30 percent—were accepted. From these numbers, it’s easy to see that getting into PA school is an impressive feat. So, how do people do it? Of course, they have good grades, test scores and volunteer experience, but what else sets them apart? For many schools, what differentiates a great candidate from a good candidate is hands-on patient care experience. Looking for ways to get certified or find opportunities for healthcare experience? Check out this search engine! Emergency medical technicians (EMTs) are healthcare providers who specialize in emergency medical services. Many of them work for out-of-hospital medical care and transportation organizations. That being said, some EMTs work in hospitals, often as emergency room technicians. Paramedics, like EMTs, are trained to provide emergency medical care. Many people who work in this field specialize in settings outside of the hospital. For example, a paramedic may work for the fire department with the aim of stabilizing patients before they’re taken to the hospital. Overall, there are a few differences between EMTs and paramedics—even though many mistakenly assume they’re the same thing. EMTs are entry-level providers who have completed about 120-150 hours of schooling. Paramedics, on the other hand, are more advanced providers. They generally start as EMTs and then complete 300 plus hours of additional advanced EMT coursework to become paramedics. Certified medical assistants (CMAs) are individuals who are educated in the general, clinical and administrative responsibilities outlined in the Occupational Analysis of the CMA by the American Association of Medical Assistants. The certification typically requires around one year of schooling, but some positions offer on-the-job training that’s less than a year. If you choose to become a CMA, you’ll be able to work in a variety of settings, from private practice to a hospital. In this role, you can expect to do a lot of things, like taking vitals, administering injections and assisting providers in various procedures. One of the best healthcare jobs that’ll set you apart for PA school is working as a certified nursing assistant (CNA). Many think that CNAs only work in nursing homes, but there are actually hospital positions for CNAs, too. If you decide to work in this field, you may help patients with activities of daily living—such as bathing and dressing. People who opt to work in a more clinical setting may gain experience taking vitals and assisting nurses and other providers when needed. CNA training requires at least 160 hours of theory/lab work in addition to supervised clinical training. After you complete your training, you’ll need to pass a CNA certification exam, which is composed of written and practical parts. As soon as you pass both parts of your exam, you’ll earn your certification, and you can start to look for positions as a CNA. Individuals who opt to go this route can also try to secure a job before they work as a CNA. Sometimes, facilities will hire non-certified CNAs and fund their training (as long as it’s completed a few months after they start working). Emergency room technicians are CNAs and EMTs who provide patient care in hospital emergency rooms. Their exact role changes from facility to facility, but many of them assist nurses and physicians by drawing blood or inspecting and cleaning equipment. The emergency room is a unique place that can help you prepare for PA school. On any given shift, you could see a patient with a headache, a patient who’s taken a fall and a mental health patient. This exposure will help you gain an understanding of a wide variety of fields and may even tip you off to what area you might want to specialize in later on. Physical therapy aides (PTAs) are medical workers who operate under the supervision of physical therapists. While assistants need to be licensed, aids can generally work without a certification—as long as they have a high school diploma. Although there are some programs that don’t accept this type of experience, many appreciate it and count it as direct, hands-on patient care experience. If you are thinking about this role, it’s best to look up your schools of interest first to see if they accept this type of experience. A registered nurse is someone holds either an Associates Degree in Nursing (ADN) or a Bachelor of Science in Nursing (BSN) and has passed the NCLEX-RN exam. Out of the previously mentioned jobs, nursing has several advantages. First things first, the starting salary for an RN is around $66,640. Individuals who choose this route generally have the ability to save more money and sustain a comfortable lifestyle while they accrue patient care hours. Traditionally, RNs who seek more schooling will pursue a Masters of Science in Nursing (MSN) degree or a Doctor of Nursing Practice (DNP) degree. That being said, there are a few reasons RNs decide to go to PA school instead of another graduate program. For example, a nurse might go to PA school because they’re interested in the medical model versus the nursing model. Another advantage to PA school is the fact that many programs offer more clinical hours than some NP and DNP schools. It typically takes two to four years to become an RN, but there is one other option for individuals who already hold a bachelor's degree. Even if your bachelor’s degree is not in the sciences, as long as you take the necessary prerequisites, you can apply to an accelerated BSN program that takes about 15 months to complete. Many students are dismayed when they see that some PA schools require their applicants to have hundreds to thousands of hours of hands-on patient care. Truth be told, these numbers can be quite frightening, but they don’t have to be … If you secure one of the roles above, you’ll start accruing hours quickly and ultimately position yourself for PA school application success. Hey guys! I wanted to remind you that the May webinar will go live today at 8 PM EST. 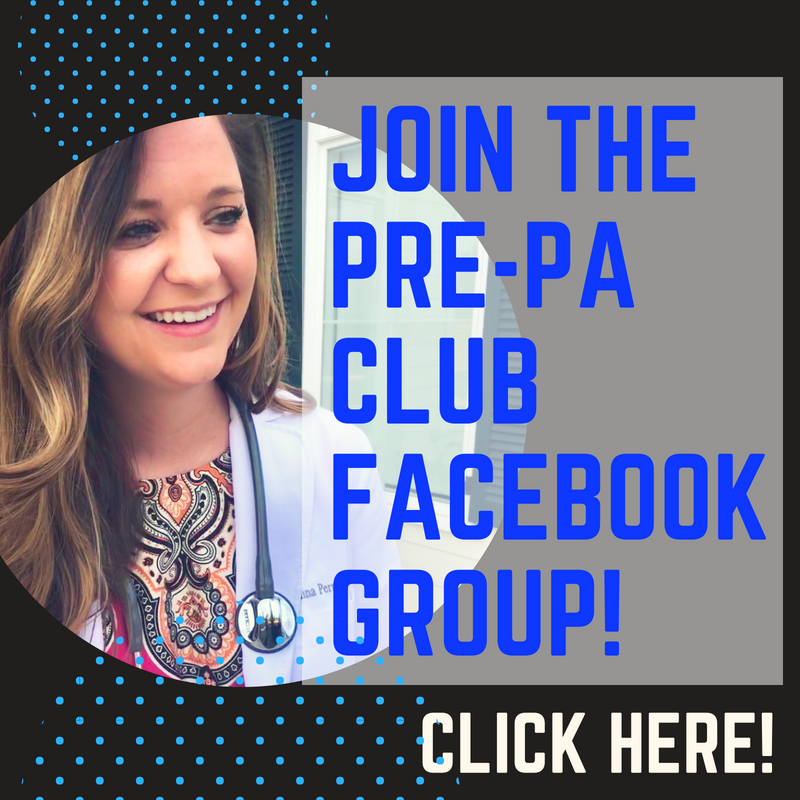 In this month's talk, I'm covering everything associated with the healthcare and patient care experience needed for PA school. We'll talk about why it's important to get experience, what types of opportunities are available and where to find them, how to track this information for CASPA, and I'll be answering all of your questions too! You can check back at this link at 8 PM to tune in to the session on The PA Platform, or you can watch on Youtube here where you can also submit questions to the chat. Looking forward to seeing you there!